My framerates are locked to 30fps when vsync is enabled, vsync off and its well over 100fps. I upgraded to a vega and having no DVI I used 3 Displayports. Heres the thing if I change the main display to one of the Dells it seems to work fine, a solid 60fps, smooth gameplay etc.. but there is 1 single tear line across the Omen which I cant get rid off. Would the Omen be sending a rate/timing and the Dells cant keep up and it slighty drops under 60fps causing the fps to cap to 30? (02-06-2019 11:29 PM)triplesync Wrote: Would the Omen be sending a rate/timing and the Dells cant keep up and it slighty drops under 60fps causing the fps to cap to 30? No, this is not a monitor issue as vsync is handled by the GPU, so it's not synchronizing with the monitor correctly. 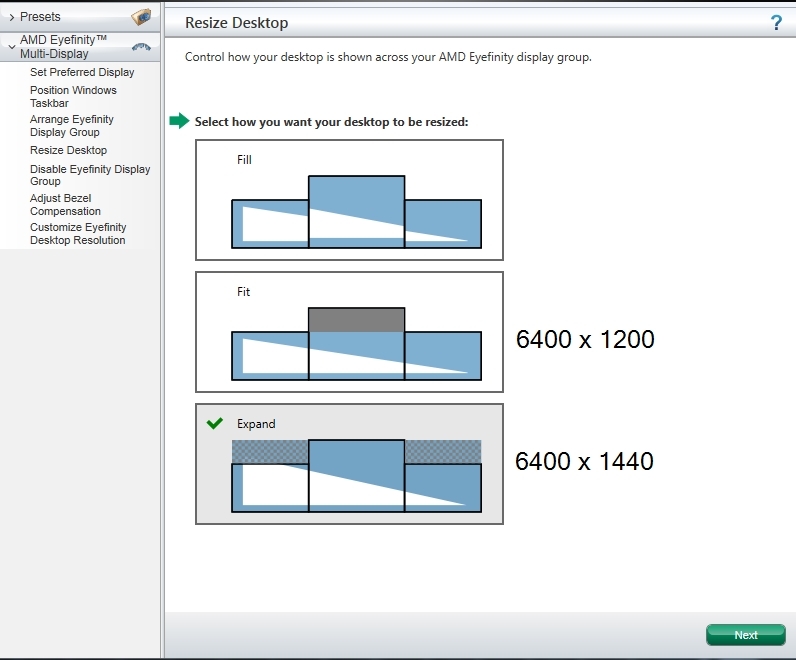 Windows has always had issues with synchronizing multiple monitors with different resolutions or refresh rates. Are you using FreeSync? I don't see why not. Changing the totals would only affect the refresh rate if the radio button is on the horizontal scan rate or pixel clock. Changing the refresh rate should not affect the totals. You should be able to type in 2720 and 1481 for the totals and 59.95 for the refresh rate and have the frequencies match perfectly on all monitors. The only problem is I don't know if the Dell will accept such a large blanking. The other option is to try setting the HP to 2720 and 1475 and the Dell to 2080 and 1225 to get exactly 60 Hz on all monitors, but there's no guarantee the video card will synchronize them. (02-06-2019 11:29 PM)triplesync Wrote: No, this is not a monitor issue as vsync is handled by the GPU, so it's not synchronizing with the monitor correctly. Windows has always had issues with synchronizing multiple monitors with different resolutions or refresh rates. Are you using FreeSync? Thanks for the reply Toasty. yes im using freesync, with it off it still happens. I typed in 2720 and 1481 for the totals and 59.95 for the refresh rate and you were right the Dells threw a wobbler! Also tried the HP 2720 and 1475 and the Dell to 2080 and 1225 the same capped 30fps. Not sure where to go from here, my other card worked perfect with DVI, do you reckon it would work using 2 passive DP to DVI adaptors for the Dells? I also tried HDMI on the HP with the same results and HDMI to 1 Dell with DVI adaptor. This really seems like a driver bug or hardware limitation. It should be possible to synchronize with a particular monitor, but clearly this isn't happening. Passive DP to DVI adapters will act like single-link DVI ports, so that might help work around the problem, but then HDMI should have worked as well. The range limits don't matter on the Dells. That's mainly information about what the monitor will accept, and it might not even be accurate. On the HP, the V rate controls the FreeSync range, and the min/max H rate always matches when FreeSync is enabled. (02-08-2019 09:26 PM)ToastyX Wrote: This really seems like a driver bug or hardware limitation. It should be possible to synchronize with a particular monitor, but clearly this isn't happening. Passive DP to DVI adapters will act like single-link DVI ports, so that might help work around the problem, but then HDMI should have worked as well. (02-08-2019 09:26 PM)ToastyX Wrote: The range limits don't matter on the Dells. That's mainly information about what the monitor will accept, and it might not even be accurate. On the HP, the V rate controls the FreeSync range, and the min/max H rate always matches when FreeSync is enabled. You might have better results with Windows 10 as a lot of internal changes have been made since Windows 7. (02-16-2019 12:25 AM)ToastyX Wrote: You might have better results with Windows 10 as a lot of internal changes have been made since Windows 7. I have tried windows 10, same problem, I done more tests and the problem happens on a single monitor aswell, anytime the display is scaled down from full screen it locks 30fps. doesnt matter what resolution its at or what single monitor its on, single hdmi and displayport, dp > dvi... same problem. also it works ok in window mode. I tried a bunch of different drivers going back to the release of vega, using DDU to clean the drivers.